I love this statement. A child has a heart that is so pure. He is in a constant state of learning and his perception of life has not been altered. He is closer to God and everyday is seeing something for the first time. After living in my home for ten years at times I take my house and neighborhood for granted. I see it every day so sometimes I forget to see the beauty around me. When I step into my childlike heart I remember that first day coming into the area and how beautiful I thought the streets and buildings were. At that moment, when I reflect back, I become grateful and realize how blessed I am. I do this exercise often to keep me grounded and in a constant state of gratefulness. I also use my childlike heart with people in my life that I find myself taking for granted. I remind myself why I care for them and how they added to my life and it changes how I behave around them. It is easy to fall into routines and take what we have for granted. But this statement will help remind you look at your life differently. Take the time and appreciate what you have and who you have in your life by reflecting back and looking again with your childlike heart. Doing so will encourage love to bloom all over again. I believe in allowing a child to have time to just "be". To sit with themselves and think, dream and let their imagination go. I think it is more difficult these days for our children to do this because of the constant activity and input from the media, phones, computers, computer games, and after school sports. I asked my son who is 20 if he ever gives himself time to sit quietly and he said that his quiet time is while he is in the shower! I believe him because I have never seen him anywhere where he wasn't getting input somehow. As a child he used to eat his cereal at breakfast while reading the cereal box. I wonder how healthy it is for a child to be constantly bombarded with input. My son is very intelligent and happy so for him it seems to have worked. But what about the children who are creative and never get a chance to work with their creativity because of the high demand of our times? Are they still finding time to just be alone and are their parents intuitive enough to understand that this is what they need? and wish a dream with all your might. anything is possible if it’s meant to be. In our busy world children can use bedtime as a time to think about themselves, how their day went and the possibilities that are waiting for them tomorrow. I was delighted to have a booth for this buddy walk in the Angel's Stadium on November 7th. Many families participated to raise money for this very worthwhile cause. It was easy to see that these were special families as they were calm and friendly with well mannered kids. I was just a spectator and vendor and I loved every minute the day. I had a great response to my product line. The children, with and without down syndrome loved my plushies. They twisted their necks to look more if their parent had them by the hand and walked by without stopping and the ones who stopped had the most delighted expressions on their faces. I was happy with my sales and the experience gave me the fuel to continue sewing and creating. There is something about a smiling child that warms my heart and fills me with joy. I can't think of a better feeling. 1. A plush toy will listen to whatever a child has to say and never complain about anything. 2. 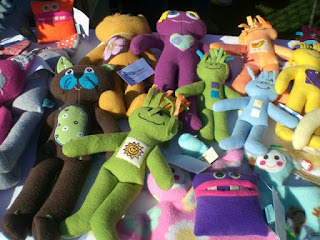 The child can make a plush toy sit or stand or do whatever they want them to do. 3. A plush toy is a comforting bedtime companion when a child is learning not to be afraid of the dark. 4. A plush toy helps develop a child's imagination. 5. A plush toy makes a great, quiet traveling companion. 6. A plush toy keeps a child company when they are alone. 7. A plush toy gives the child a feeling of being the boss! 8. A plush toy is always smiling at them. 9. 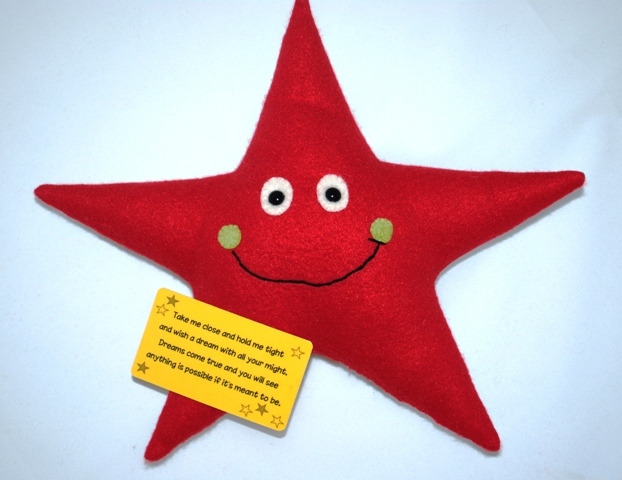 A plush toy teaches a child how to be a good friend. 10. A plush toy can be squeezed and hugged. I love angels. I have them all over my house. I made these little angels from a modified version of DigiStitches Lolly Dolly. I had one to sell at my last craft show and the lady who bought it said I should make thousands. I appreciate her enthusiasm but just to be safe I made 7 for my next show. I will let you know how they sell. If I have any left I will put them on my Etsy site. My sister Rebecca Casey creates whimsical ceramics and she has been selling through Art Fairs and Galleries for the last 5 years. Her work is a lot of fun and she has developed quite a following. She is such an inspiration to me and I am following her lead by participating in Art and Craft Fairs. I am new to the idea of selling my product at fairs and I just finished my sixth one. I have to admit, I really enjoy the process of the day. My wonderful husband has been helping me set up my booth and then I carefully design the tables with my gifts. I still haven't figured out if they sell better laying on the table or hanging from my grid wall. I do know that people are drawn to touch and feel my plush toys. As the inventor, I think they are irresistible and call out to be touched! Here is a picture of my booth with my plush toys hanging. The display got a lot of attention and I was sure this was the way to go. The next craft fair I had more space so I set up my booth like this and I was surprised how little the grid wall was looked at, the tables got most of the attention on this day. Last weekend I had the perfect location and believe me I said my thanks. I was put right inside the front door with a corner booth. Happy dance! I used my grid wall as a display for my banner and pictures and put all of my gifts on the two tables. Next weekend I can only use one table for the fair I will be in so another design challenge is in front of me. But I don't mind, this is all part of the process and I find it enjoyable. The whole day is fun, I get to meet other crafters and enjoy their original work. Last weekend I met Ali Richardson who creates flower hair clips, her sister-in-law who makes craft kits for her business Smart-Bottom Kids and Sue Shepard who takes pictures of nature that look like the letters of the alphabet. All three of these ladies are doing what they love and offering a wonderful product. The challenge at any Craft fair is to get customers. One of my customers, Laurie, is a woman who does all of her gift shopping at these types of fairs. 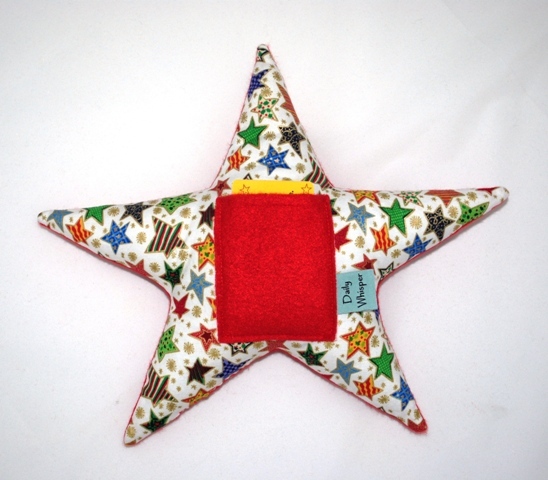 She gives gifts that are made in the USA, hand crafted and original. If we had more Laurie's in this world, life would be more fun. I say, let's forget about the big warehouse store and China made product and let's focus on gifts that have a story behind them that are unique and handmade. Spread the words, BUY HOMEMADE and support your local artists! It's fun! Since high school and college we have been thinking about what we want to be when we grow up. Some of us dream of being a parent and many of us want a career that defines our purpose. Along our journey life happens; we fall in love, get married and have babies. And life becomes full and wonderful with the love we have around us. 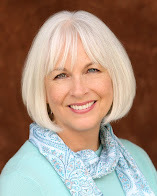 Having been a mother with a professional career, I thought I balanced my time well. My kids are grown now and I think back of the love we shared; how I used to hold them, touch their heads, kiss their cheeks, tickle them. I also remember too many times when they were talking to me and I was focused on my computer and I didn't even look at them during the conversation. It's those moments that I want a do-over but there is no such thing in life. When your children are grown you think about these things. Whether your career is inside the home or outside the home, remember to share your time and love with those that you hold most dear. When they are talking to you, look them straight in their eyes, make the connection. Find time to be a family; take the kids to the park, work on a puzzle, play a game, and remember to take the time to be alone with your spouse. Keep your family together and connected and remember that time moves fast and what you do with the time right now is what's most important.